We have 3 different types of rooms: Standard, Superior with Sea View terrace and spacious SUITE with outdoor patio. The Standard Rooms, comfortable and finely furnished, have Air Conditioning, Safe, Mini Bar, TV SAT and FREE Wi-Fi Internet. Our Superior Rooms have Air conditioning, Safe, FREE Wi-Fi, Mini Bar, TV SAT and spectacular Terrace with Sea View. The brand new Suites are spacious and they have a living room with a sofa, a bathroom with an emotional shower and a waterfall. 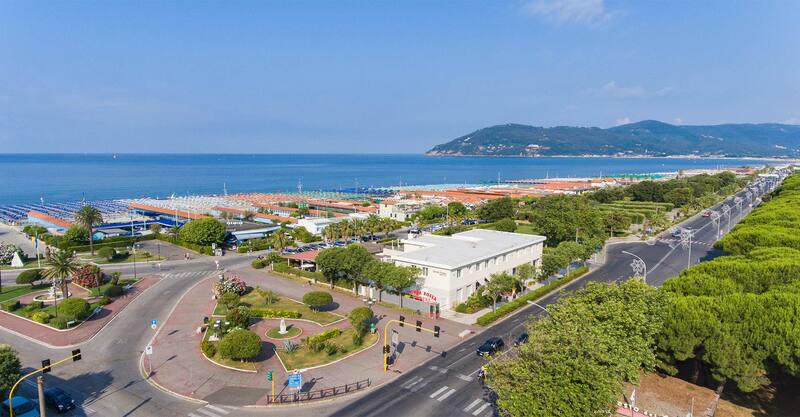 Renovated in 2017, the 3-star Hotel Tenda Rossa is located directly on the seafront of Marina di Carrara, in front of the private beach facilities and the beach. The hotel is located a short distance from the Carrara Fiere Exhibition Center (less than 300 metres), and a few kilometers from vibrant Versilia, with its nightclubs, festivals and events that are renowned nationwide, and the beautiful Cinque Terre, one of the more popular destinations in Liguria for summer holidays or even for a weekend. Why choose Hotel Tenda Rossa for your holidays? A great base to stay near the 5 Terre, Portovenere, Lerici, Pisa, Lucca and Florence. Business Offers for "Carrara Fiere"
Thanks to our proximity to "Carrara Fiere", practically in front of our hotel, you can opt for a business stay that is, above all, relaxing and comfortable. Check our offers page, you will find accommodation offers for all periods when there are trade fairs in Marina di Carrara. 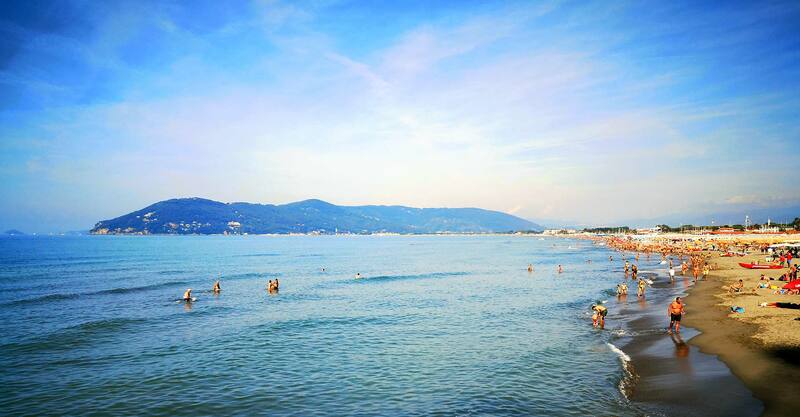 Your holiday at the seaside in Marina di Carrara or Business Stay, choose the most suitable offer! Further information abou this offer by clicking on the button below. Isoppo Nino & C. s.r.l.